The inbound marketing rules have changed. Simply attracting leads naturally through content, social networks and search engines is no longer enough—especially for organizations with long or complex buying cycles (often the case in B2B). Today’s B2B marketers need to also keep leads interested and engaged throughout the buying cycle, establish trust and preference, and then retain the relationship post-sale. Greater sophistication and personalization in outreach and communications. Better reporting capabilities, pinpointing which activities drive results. Increased coordination and alignment with sales representatives. Integration of loyalty-building strategies to nurture existing customers. Take your marketing program to the next level by moving beyond lead acquisition, to lead nurturing and client retention, and reap the financial benefits. Our new ebook, The B2B Marketer’s Guide to Going Inbound, will help you learn how to leverage marketing technology, inbound strategy and tactics, to generate and nurture high-quality leads smarter and faster than the competition. 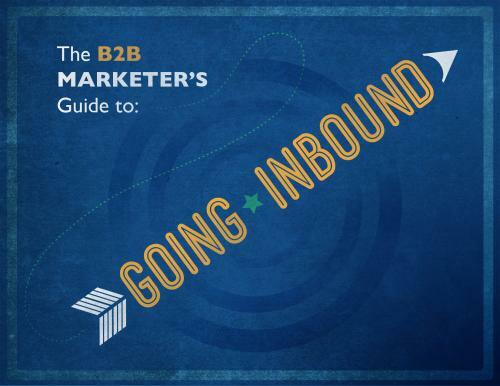 Download your copy of this free B2B inbound marketing ebook today. The ebook dives deep into the following topics, with specific takeaways you can use to enhance your marketing program to deliver real results. The Evolving Marketing Landscape – A look at how inbound marketing, and consumer expectations, have changed over the years, and how marketers must respond to keep up. Advanced Marketing Strategies and Tactics — Today’s inbound marketing software offers capabilities that yesterday’s marketers only dreamed of. Learn more about how to leverage tools like A/B and multivariate testing, behavior-based analytics, marketing automation, lead scoring and more. Tools and Technologies — An overview of the top players in inbound marketing and marketing automation software, as well as other key software needed for successful, track-able, accountable and sales-aligned programs. Skills for Success —The technology is great, but can your team deliver? Here, we outline the skills your team needs to deliver on the promise of inbound, and why quality, hybrid professionals are so damn hard to find. Is your marketing team up for the challenge? What Steps Are You Taking? We’d love to hear your experiences. What steps are you taking to build a more sophisticated marketing program? What strategies, tactics and tools have you implemented? What success have you seen? Stay updated: Subscribe to the PR 20/20 blog, check us out on Facebook or follow the team on Twitter. 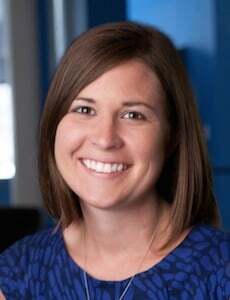 Tracy Lewis is the director of talent and a senior consultant at PR 20/20. She is also the community manager for Marketing Agency Insider. She joined the agency in March 2009 after graduating from Ohio University. Full bio.